Huge update! 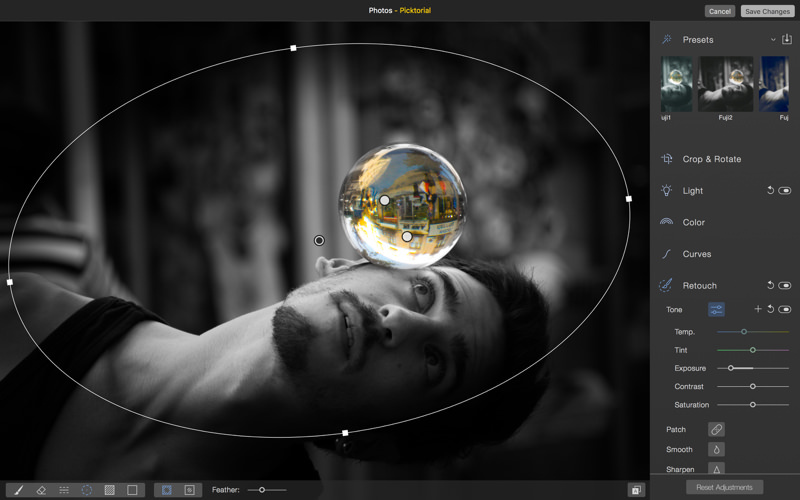 Local adjustments are available for all adjustments tools, pro-masking options are available, together with custom blending options. A New History panel lets you access point in your editing timeline with a single click. Moreover, we've added a new tabbed layout in the right panel, so as to easily navigate between presets, adjustments tools, history and metadata. 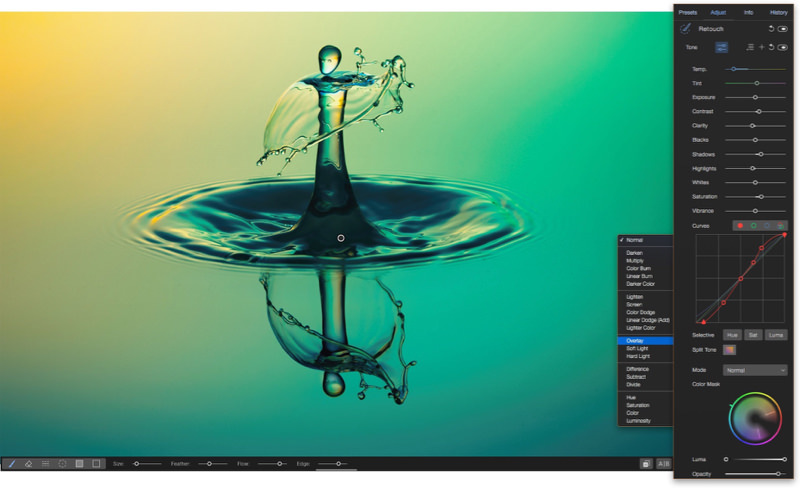 Open photos in external editors directly from Picktorial. Dramatic performance improvement on some Mac mode. Edge-aware brush makes precise selection a breeze! - Display clipping overlay - iPhone and other new camera RAW support. Launched Picktorial store in Gumroad. You can purchase Picktorial with credit card or PayPal. Photos extension, Radial and Linear Gradient tools, Denoising brush, as well as Clarity, Highlights and Shadows sliders, and a unique Frequency Separation slider, for perfect skin smoothing. We added RAW support for numerous cameras. Picktorial goes live on the Mac App Store! 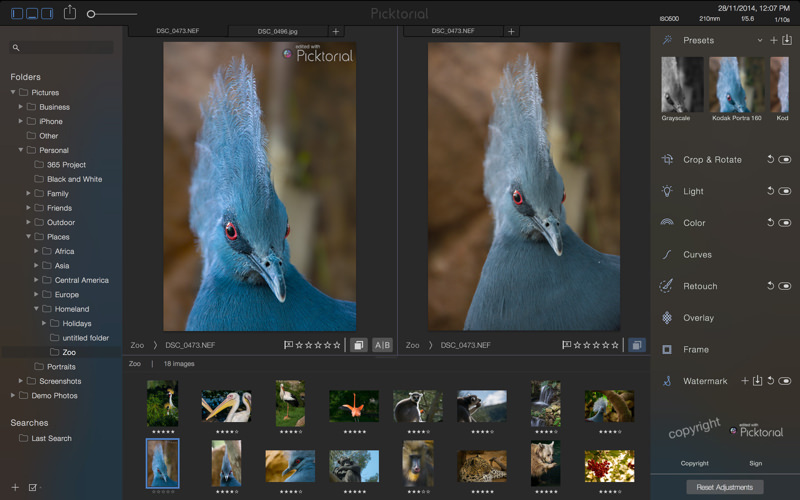 Picktorial provides the best of both worlds: it offers an instinctive and efficient workflow that also allows for maximum flexibility, creativity and state-of-the-art editing capabilities. All in a fully non destructive workflow.